Deanston: Intervju med Derek Scott. Destilleriet Deanston är lite av en doldis i Sverige. Ingen av deras core-range finns i standardsortimentet på Systembolaget utan måste beställas. Befinner man sig i Edinburgh eller Glasgow så är Deanston inte långt bort och de tar emot besökare. Enligt Ingvar Röndes eminenta Malt Whisky Yearbook så ska deras besökscentrum vara mycket fint. Vi har en längre tid varit nyfikna på detta destilleri som trots sin kapacitet på 3 miljoner LPA är relativt okänd som single malt. Vi kommer under veckan att prova tre olika utgåvor från Deanston. Virgin oak, 12YO och 18YO. 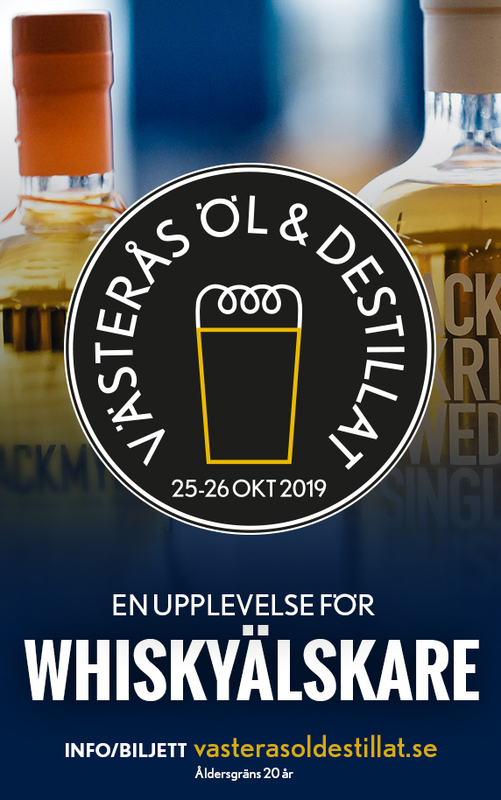 Derek Scott som är general manager för malt whisky hos distell var vänlig att ställa upp på en intervju. Hi Please introduce yourself to our readers? Bunnahabhain, which is the most northerly distillery on Islay and is famous for its rich and complex whisky which, unusually for Islay, is un-peated (in the main) allowing it to expose the natural characteristics of, this famous islands, coastal influence on scotch. 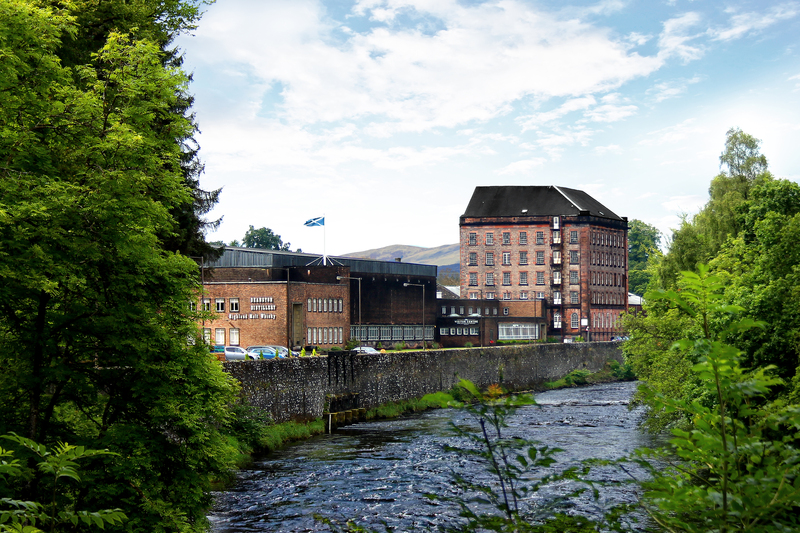 Deanston, is a tiny village located in historic royal Stirlingshire and our distillery is actually a converted cotton mill. It has changed little since it was established in 1966 remaining very much a handmade whisky, with little in the way of modern technology. Tobermory, as the name suggests, sits in the stunning coastal village of Tobermory, at the north end of Mull. This is our smallest distillery, but is actually quite unusual in that six months of the year it is dedicated to producing a peated malt, called Ledaig, the name of the area of the village in which the distillery sits. 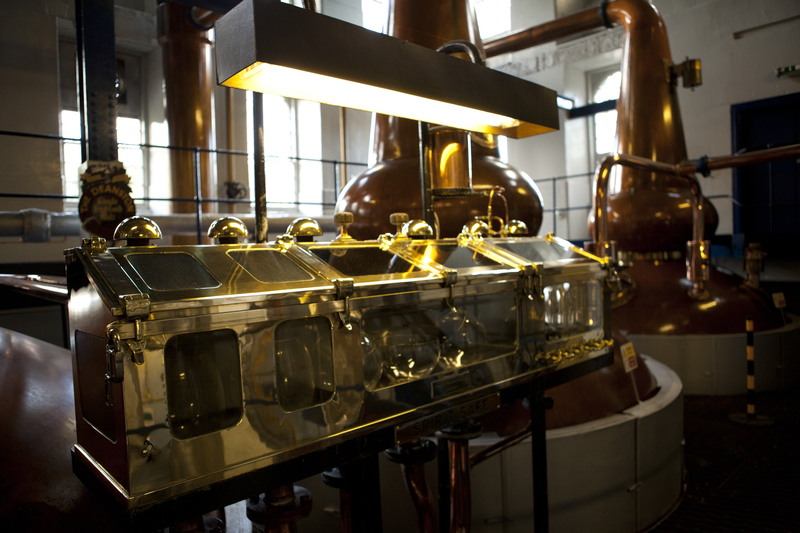 How did you first get involved in the whisky-industry? In 2001, I started my whisky career working for Jim Beam brands, where I worked on both the bourbon and scotch portfolio which included Jim Beam, Makers Mark, Laphoraig and Teachers. How would you describe the house-style and character of Deanston? 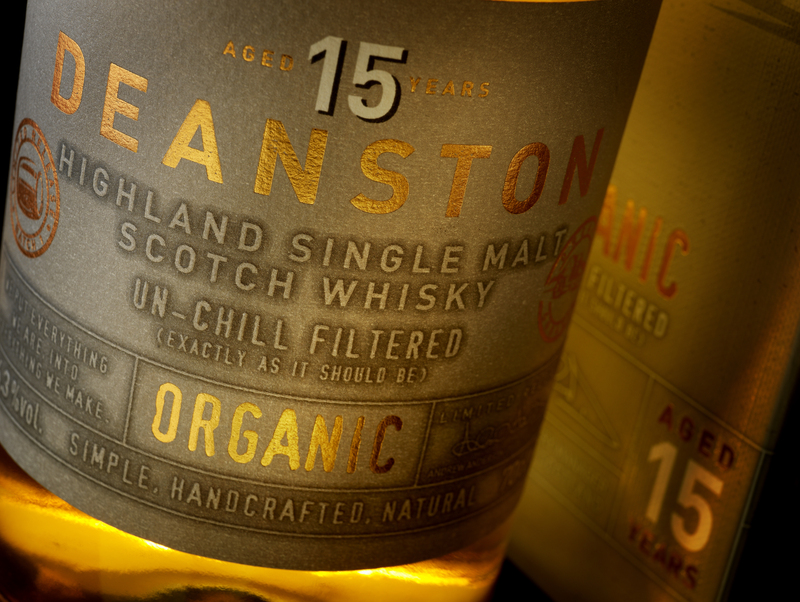 Situated in agricultural Stirlingshire on the river Teith, Deanston reflects its surroundings with a heart of hay, malty cereals and sweet honey. It is a simple uncomplicated malt that delivers an easy drinking style. NOSE: Fragrant with hay and malty cereal notes. Creamy toffee and heather honey balanced with aromas of sweet oak and barley sugar. PALATE: Fresh and creamy with soft vanilla. Sweet and fruity with a malty honeyed spiciness. FINISH: Satisfying, clean and dry with a hint of cloves, tingling then gently fades. Please guide us through the core range of Deanston? Deanston Virgin Oak, whisky matured in bourbon casks is married together before being finished in new oak barrels. The casks are sourced from a family-run cooperage in Kentucky, which imparts into the spirit an almost zesty and lightly spicy character. NOSE: Virgin Oak tantalises the senses with a light lemon zest and sweet barley sugar fragrance with hints of apple and nutmeg. PALATE: Sweet with hints of candied fruits, vanilla toffee and heather honey. FINISH: Delicious and lightly spiced with a burst of honeyed malt and sweet oakiness. We were one of the first distilleries to experiment with producing a Certified Organic whisky. From start to finish by the Organic Food Federation reviewed our processes to ensure we use only organic barley with the use of no pesticides or fertilisers, malt it organically, use new oak casks and batch production to ensure no carryover. We have released several bottlings of this spirit and at the moment our 15 year old Organic whisky is proving highly popular. FINISH: Incredibly crisp with a long lasting oaky sweetness. Deanston 18 year old is first matured in second fill Kentucky bourbon casks for 16 years, we then transfer it to first fill casks giving it a deep colour and enriched flavour. 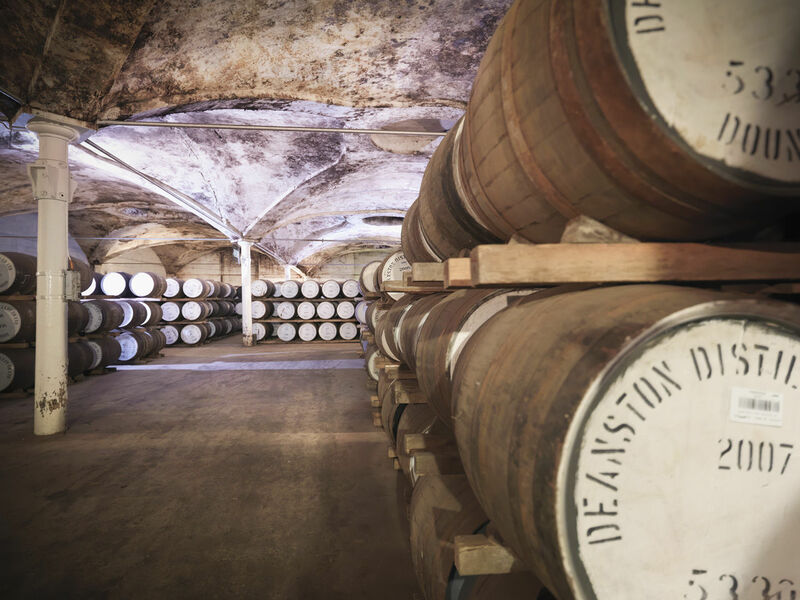 We mature it in our unique vaulted warehouses, in the heart of our distillery, which used to be where cotton was stored at very specific humidity and temperature levels and happen to be ideal for slow whisky maturation. 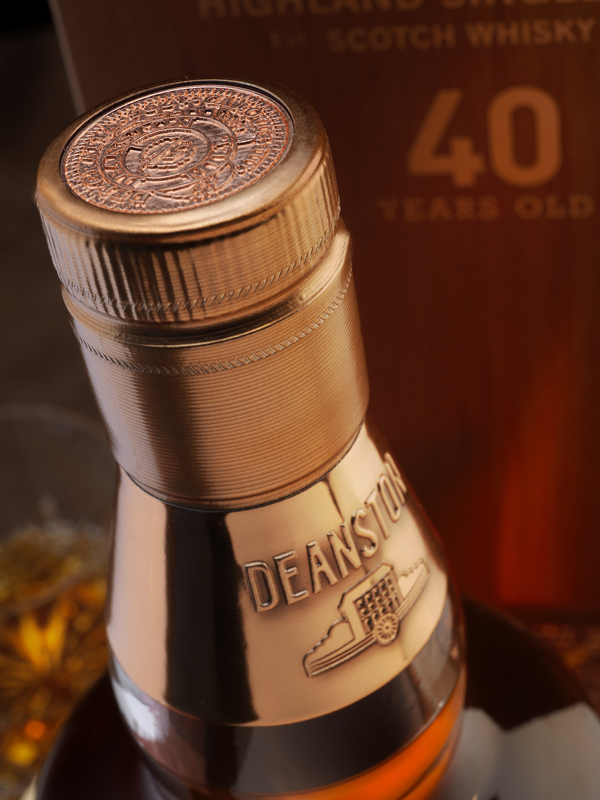 Launched this year, our 40 year old Deanston has slowly matured, deap in our old cotton stores, in bourbon casks for thirty years and then the last ten in Oloroso butts to provide a richness that enhances the distinctive honey characteristic of the Deanston malt. NOSE: Deanston’s distinctive notes of rich honey balanced with tropical fruit, rich oak, sweet malt, vanilla fudge, and a very delicate hint of dried fruit. PALATE: Mouth filling sweetness, notes of rich heather honey, pear, apples, ripe fruit, sweet malt, and creamy vanilla fudge, with hints of citrus and rich oak. FINISH: Long lingering sweet honey and fruit finale. Always a tricky question to answer, as it all depends on the moment. As I am sitting here in my office at Deanston, just before lunch, I would probably have a Virgin Oak. Its vibrancy and almost bourbon like vanilla are an ideal way to get the palate warmed up for a delicious long lunch. In reality, it will be a sandwich and a glass of sparkling water for me today, as I have work to do this afternoon. It’s not all glamour in our industry! What’s on the horizon for Deanston? Any news you can reveal to us? 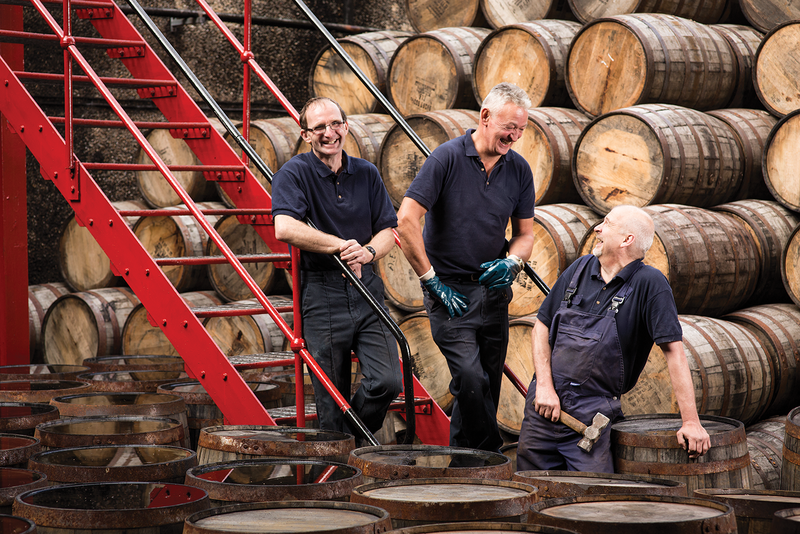 We like to experiment and play with maturation at Deanston. The spirit lends itself to fresh thinking and we love to bottle small batches of distinctive expression. This year we are releasing a 2008 Red Wine bottling. We found some terrific red wine casks in Bordeaux and wondered what would happen when we matured our whisky in them from day one. It was an experiment worth making. We are bottling it this summer and will be available around August. FINISH: Lingering fruity sweetness & subtle spice. Over the next few years, you can expect to see some very unusual expressions, as we test new ideas. 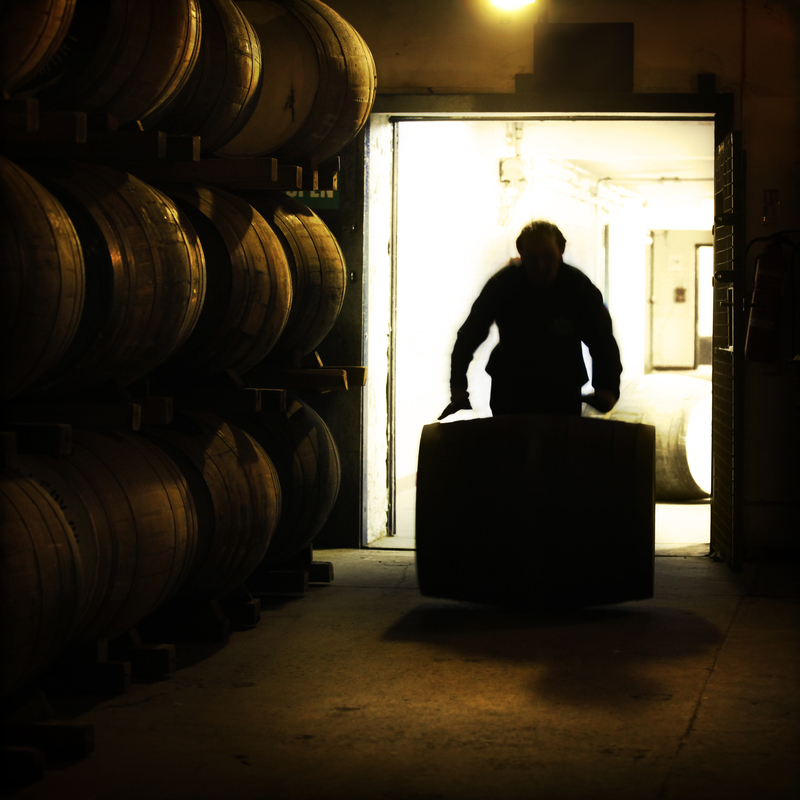 Organic, virgin casks, red wine cask maturation are just a small part of our alchemy approach to whisky at Deanston. Unfortunately, Kirstie, our blender and cask guru won’t let me give away too much on this. But you can expect to see one or two interesting expressions every year from Deanston. What’s your three favourite drams that you have not been involved in? But I will always come back to the very best, Bunnahabhain 18 Year old. Sorry, is that cheating? What kind of food do you think suits a dram of Deanston? We often host dinners at Deanston and, being Scotland, we like our seafood. We often start our dinners with canapés of smoked salmon and crab cakes. The zesty fruity flavours of the Virgin Oak works particularly well, with these, as appetisers. Our older expressions tend to be paired with rich chocolate almond and pistachio truffles, which works particularly well with the honeyed maltiness of the 18 year old. What is your opinion on chill filtration and the adding e150a in whisky? We moved away from chill filtration back in 2008 as our blender at the time felt that it was masking some of the real characteristic of our whiskies. Scale sometimes requires a higher level of consistency and I would never criticise the use of this method, as it helps provide this to very large volume brands. As a smaller boutique whisky maker, we believe our consumers recognise the benefits of doing as little to the whisky as possible, so its real character shines through, even if it does go a little cloudy when they add some water. A perfectly natural occurrence, but sometimes off putting to less experienced whisky drinkers. Much the same applies to the use of caramel. What is your opinion on Brexit and its impact on the whisky industry? Change is continuous and the future remains a mystery to us all. Our industry has seen wars, border changes, recessions and so much more over the centuries. Undoubtedly Brexit will bring yet more change and challenges, particularly for our market services teams. But we export our spirit all over the world and will continue to build our partnerships across Europe with both members of the union and those of us who are not. Whisky will continue to provide the social lubricant that break down barriers and creates long and lasting friendships. Sorry if this is a little anodyne, but I was always taught not to mix politics and pleasure. No I have not had that pleasure. But I am planning to be in Sweden later this year and will make a note to taste some. Do you have any recommendations? If you could have 3 people of your own choice for a whisky tasting, who would you invite and why? (Alive or dead). Earlier this year we had the pleasure of welcoming Leonardo DiCaprio to Deanston. He had a tour of the distillery, sampled a range of whiskies, bought a few bottles and left a few of our distillery colleagues feeling rather invigorated. So I think I should chose him as one of my three, don’t you? As for the others, I would really like to spend some time with Nelson Mandela. Not just because of what he achieved, but because he always came across as an incredibly enthusiastic individual who had a real lust for life. My only concern would be his apparent continual need to dance. I don’t dance. Finally, I would really like to spend time with one of the pioneers of blended whisky. The likes of Jonnie Walker, William Teacher or Gordon Graham (Black Bottle). Whilst Malt whisky is amazingly successful, we are all in debt to these entrepreneurial grocers and blenders for taking our small, local, industry to the heights of global dominance in the world of whisky. I would love to hear about their pioneering journeys across the globe, usually with large luggage trunks loaded on luxury steamers (surely the best way to travel), evangelising Scotch whisky. Do you have any whisky advice to our readers? Don’t let anyone tell you how to drink it. I’ve seen Chinese people mix it with milk, Americans making exotic cocktails and Glaswegians enjoying it with Irn Bru (google it) and in my opinion they are all correct. Whisky is versatile and we should all be experimental. Finally: Anything you would like to add? Other than to say thank you for listening and that I am looking forward to meeting you on my next trip to Sweden or welcoming you over to Scotland, I think I have said enough. Det ska bli väldigt spännande och höra vad ni tycker om Deanston! En stor favorit hos mig. Har inte testat Virgin Oak än men de andra….